Elisabeth was invited to participate in the second, final round of the competition having won the gold medal at the Baltic Sea Philosophical Essay event in 2014. In the first round of this latest competition, 286 students took part and of this number 34 went forward to the second and final round to compete for the overall prize. 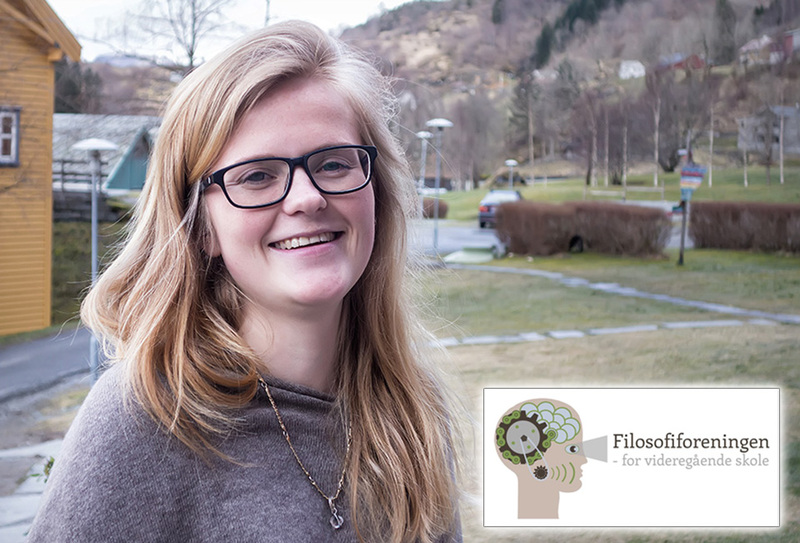 Having taken the first prize Elisabeth has now been invited to represent Norway in the Philosophy Olympics in Tartu, Estonia in May where 40 countries will send hopeful representatives. Read Elisabeth’s winning essay here. We are already looking ahead to the graduation of the second year students in May. 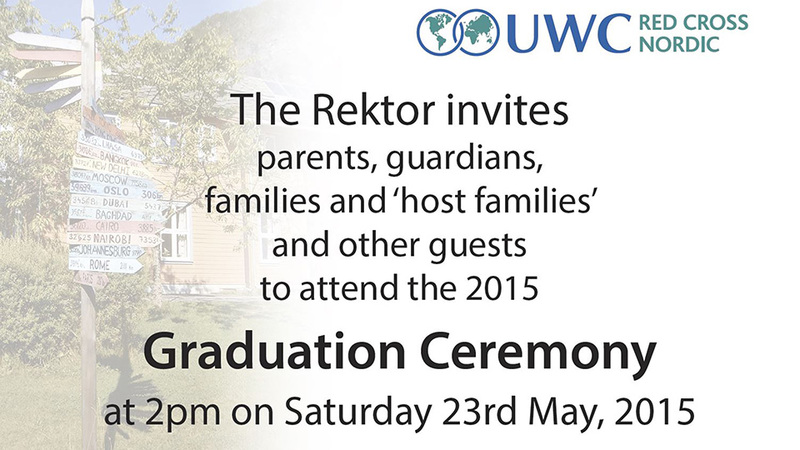 Attached is information for friends and families who are thinking of attending the ceremony. A letter to parents and guardians from the Rektor. Information about accommodation in the local area. As the final part of their course, the second-year Visual Arts students put on an exhibition of their work. It has been much enjoyed by students, staff and visitors. 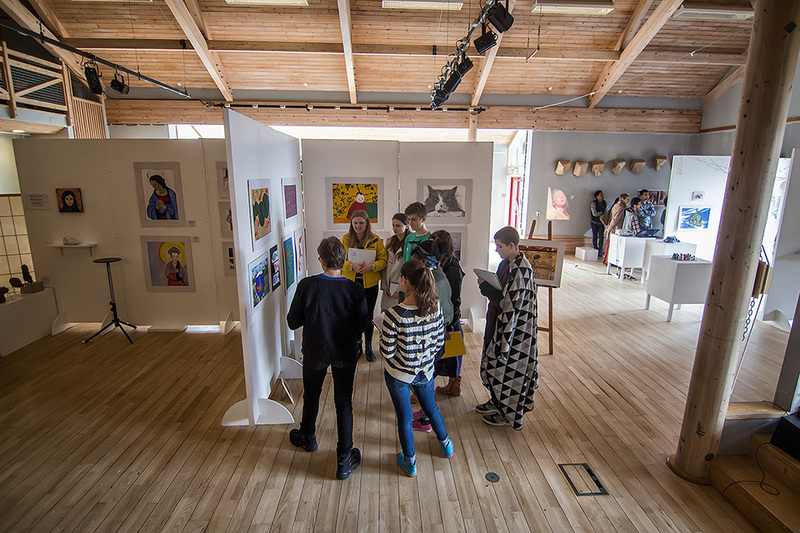 Teachers have been able to take their classes to the exhibition, being guided by the Visual Arts students who have happily taken the opportunity to explain their art pieces. Thank you to all concerned (especially Art Teacher Reidun Bergstrøm). Laski is an unusual institution, not least because it is run by both nuns and lay people, with a working convent on-site. Students have normal lessons like Polish, Maths and languages, and also enjoy many activities such as swimming. 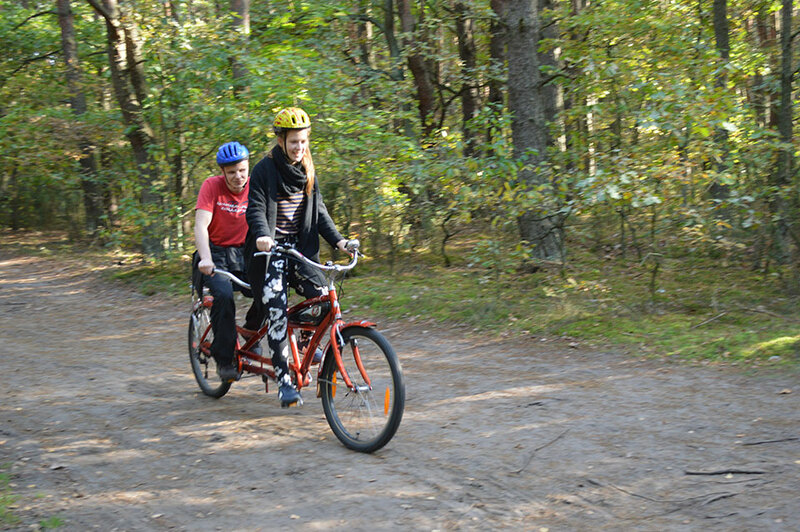 However, there are also some more unusual lessons, like orientation and horse riding. For the older students, vocational subjects are also available: woodwork and textiles being popular options. I joined the Laski community in October 2014, to teach English with secondary school students and to help with a younger group of students. It has been a challenging but immensely rewarding time, and one that I have really enjoyed. I have English conversation lessons for secondary school students every day. These lessons offer an interesting insight into Polish life – at the moment, we are talking about cultural celebrations, which as Easter begins tomorrow is particularly relevant. Perhaps unsurprisingly, the students are especially excited about eating Easter eggs! My students are keen for me to learn Polish, and always give me advice and new vocabulary to use. Lessons are normally full of laughter, not least at my terrible pronunciation! In the evenings, I help a younger group of students with their homework, although once they are finished, we normally play games. The girls live together in a cosy boarding house, where they learn the skills that they will need to be able to live independently in later life. Of course, they also have a lot of fun! They too are teaching me Polish, mainly through singing, which has had amusing results. The girls also love to dance – something that they do at every opportunity. Last Saturday they attended a carnival, and had a fantastic time dressing up in costumes and dancing with their friends. Craft is probably my favourite activity to do with the girls. Despite being unable to see, they work together to produce beautiful things. The girls challenge and exceed my expectations every time that I am with them! If you would like to be involved in the Laski project, I strongly suggest doing so as an EVS volunteer, in order to access an excellent level of support and guidance. Send an email expressing your interest to the Schuman Organisation and they will be able to support your application. EVS volunteers begin their service in January, and finish in November. 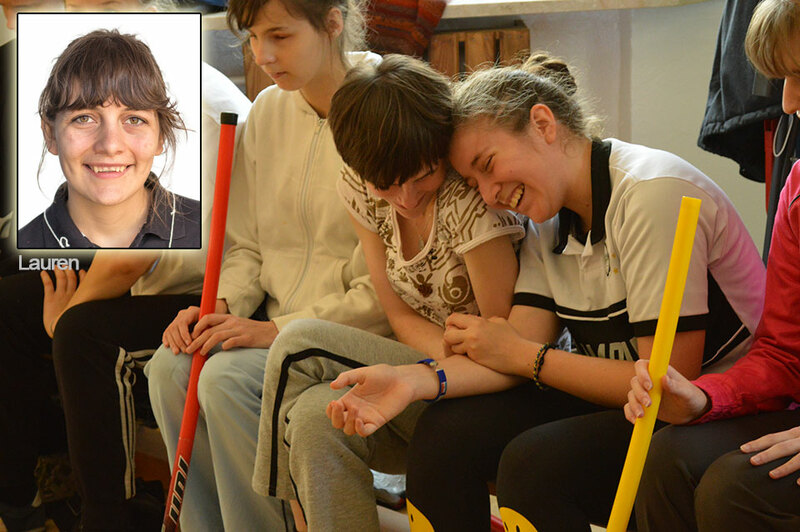 Laski is a school for the blind, but it is also a school without limitations. They have created an atmosphere of mutual respect and growth. It is not without its difficulties but, even so, the unique environment and the inspirational people make it incredibly rewarding.